July 20, 2018 | By 'The Other Guys' | Filed in: Retroarch. 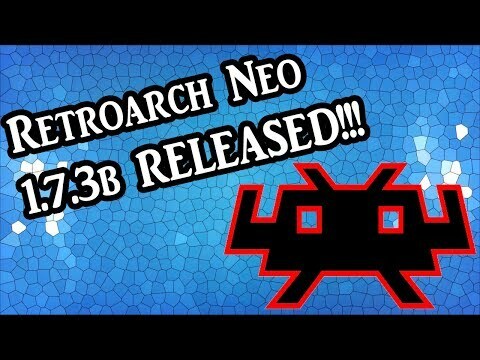 If you have an old RetroArch Neo build installed, just download and install on top. It is automatic. If you have a different version you will need to uninstall before installing the latest Neo. Launching RetroArch standalone now fully functional and working. Saves also supported. Switching roms within RetroArch standalone now supports saving. Stability fixes for intensive cores (N64, PSX) reducing the risk of C8 crashing. Added ability to now download and update cores directly from the RA menu via HakchiCloud! Added network storage support. You can now play entire rom sets and media directly from your networked drives! Saving mechanism reworked, better functionality and Hakchi Save Manager support. Loading and shutting down of RetroArch times reduced via optimisation. Default GUI is now changed to XMB with the purpose of using network and achievements. Doom and Quake splash screen bug fixed.